Chow Down Seattle: OPENING SOON: Pecado Bueno is coming to Eastlake! OPENING SOON: Pecado Bueno is coming to Eastlake! Pecado Bueno is coming to my neighborhood, Eastlake! 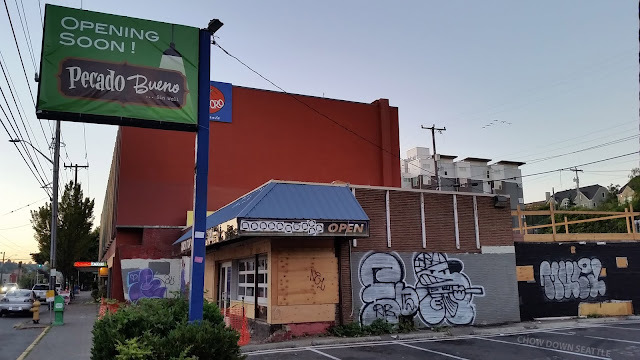 I'm excited to see a business finally take over the former Quick Stop Grocery & Deli location at 2352 Eastlake Ave. E., and I'm really excited that it's Pecado Bueno! 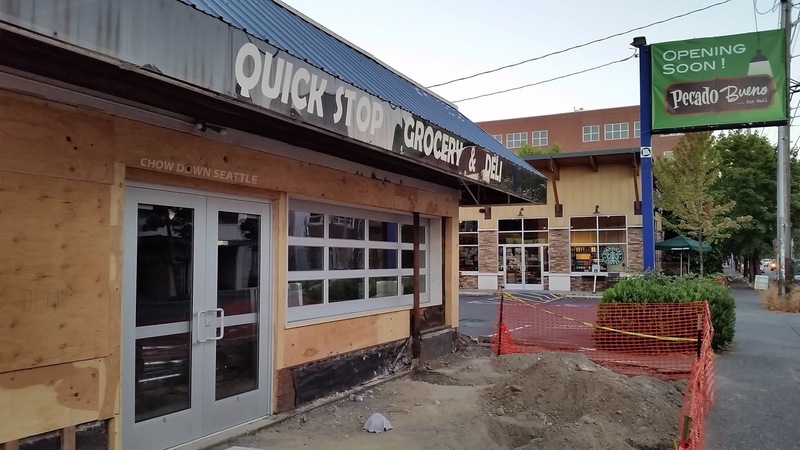 This will be the third location with the other two in Fremont and West Seattle. They are owned by James Schmidt who co-founded Taco Del Mar with his brother. James is no longer affiliated with the Taco Del Mar chain. The Pecado Bueno Eastlake location is scheduled to open the second week of September. I'm looking forward to the opening, and I'll write another post after my first visit. You want the best spa to massage your body. But you are not able to find the cheapest and good spa.That is dealkare, here you will get a list of spas and there price. You can choose according to your budget. To make buyers packer mover full satisfaction, safe with most of the world team members also provide complete packing, moving, loading and unloading comfort to their clients. Movavi activation key is used for convert audio and video files, connect the fragments of the film stylish transitions.